Ultimate combat gloves designed for Mixed Martial Arts. 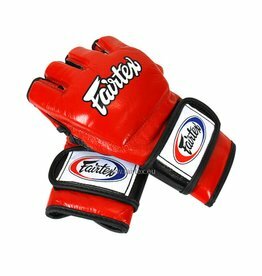 Fairtex FGV12 red ultimate combat MMA gloves with open thumb loop. Patented design for ultimate grappling control. Awarded with title Best MMA Glove in 2008.